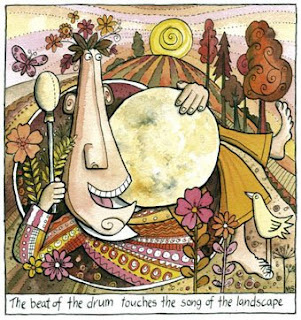 It was good to meet you and drum; and great to see the painting, I loved the colours and the circle theme. Thanks for giving me your blog address it looks interesting, I will explore. Interesting too to follow your pagan tasks and experience.